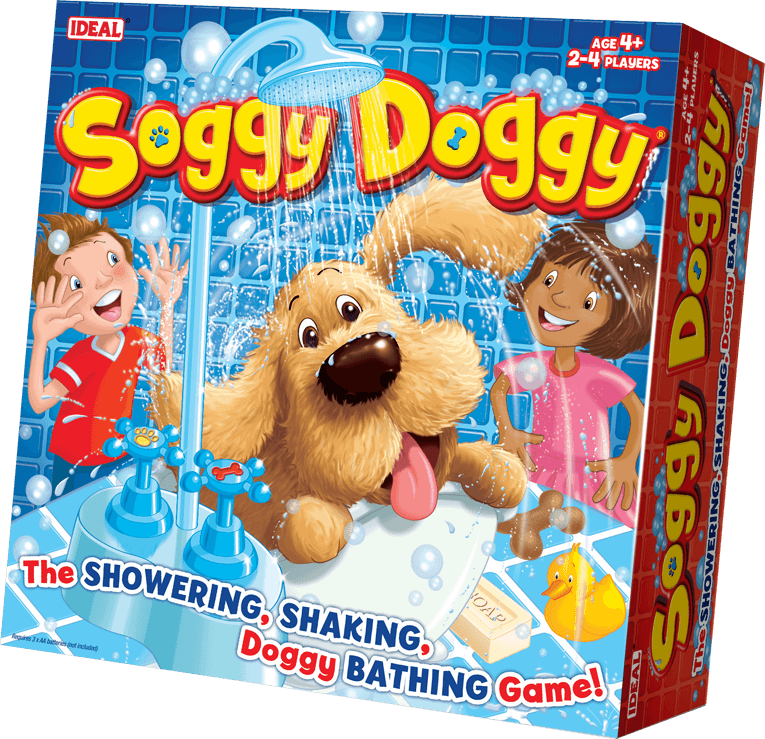 SOGGY DOGGY GAME REVIEW Soggy Doggy is a funny kids game with a lovable dog in the bath as the central piece of the product. 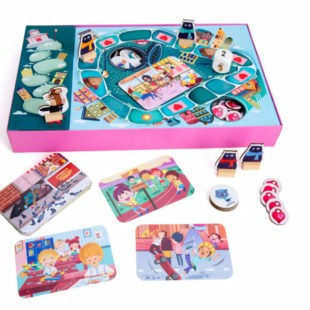 Children take it in turns to move around the game board, and add water to shower/bath Soggy Dogy as they go. When they turn the tap, a random trigger will ..
Soggy Doggy is a funny kids game with a lovable dog in the bath as the central piece of the product. 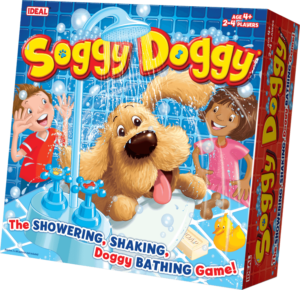 Children take it in turns to move around the game board, and add water to shower/bath Soggy Dogy as they go. When they turn the tap, a random trigger will go off every so often splashing the players and causing great amusement! THE TOY VERDICT: Soggy doggy is hilarious, fun to play and should be a hit with children!